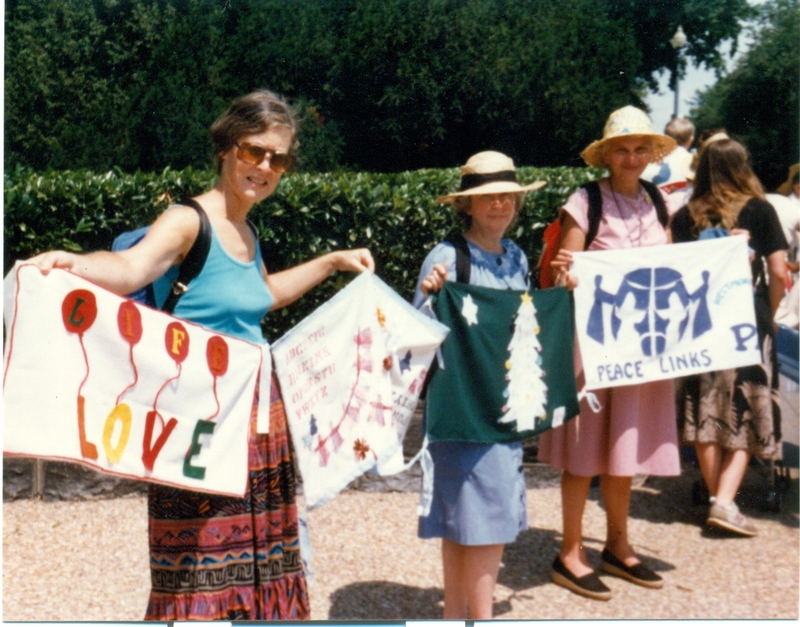 Thirty years ago a huge crowd of people connected a “ribbon” made of yard-long panels around government buildings in Washington D.C. Justine Merritt had a vision to make a ribbon for peace that would be a mile long, enough to encircle the Pentagon. Her idea “went viral” as we would say now, in that pre-internet time, primarily through church and women’s groups. 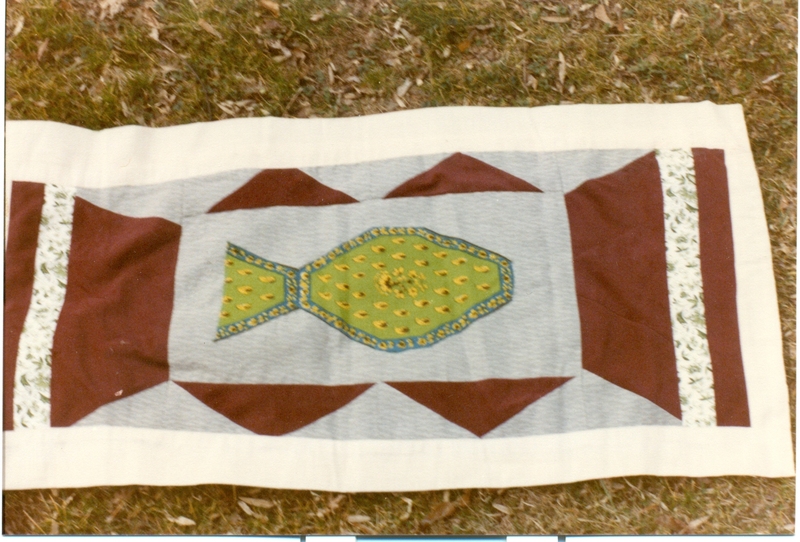 There were quilted pieces, appliqued pieces, painted pieces. Some had words, some just had images. I did a country scene, a city scene, and a fish. Already in those days I was concerned about water. 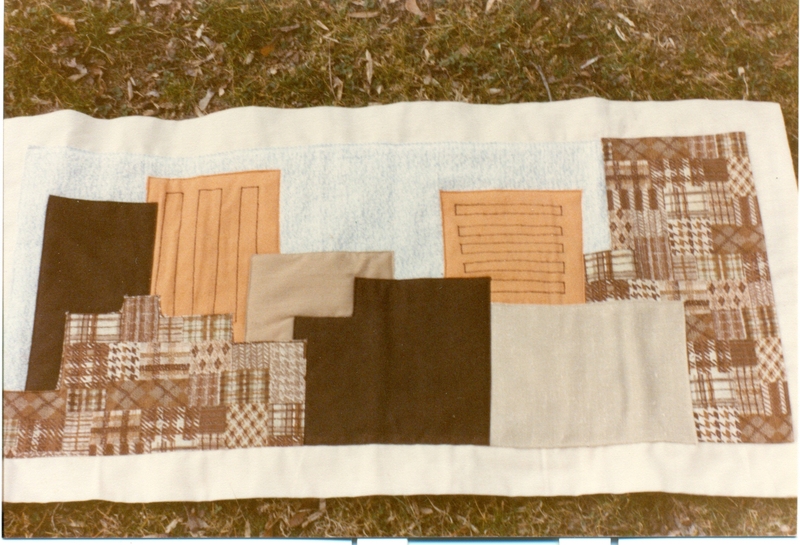 It was a wonderful way to use scraps from my many sewing efforts. I did not find such an outlet again until I discovered Project Linus about six years ago. August 1985 was the fortieth anniversary of the bombings of Hiroshima and Nagasaki. This year is the seventieth. Has the cause of peace advanced? I was on the staff at Pendle Hill Quaker Study Center near Philadelphia at the time, and we hosted (in our dorms and dining room) many Quakers who had come to the east coast for this event. 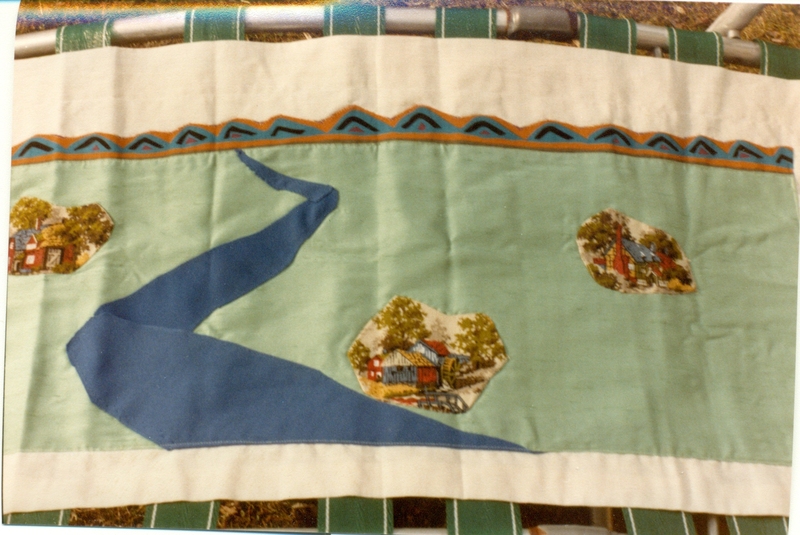 We had made panels, too, and hung them all around our dining room before and after. It was a long day for the folks who drove to DC for the event, but an amazing experience. As I recall, media coverage of the event was disappointing at the time. Fascinating. I don’t remember knowing about this, though I certainly knew you thirty years ago. I love your patches.